Born in 1958 in Calcutta, Sanjay Bhattacharya was the youngest of four children. After finishing school, he decided to join the Government College of Arts and Crafts in Calcutta in 1977. When he graduated, he freelanced for work while experimenting with watercolours and put up his first art exhibition. 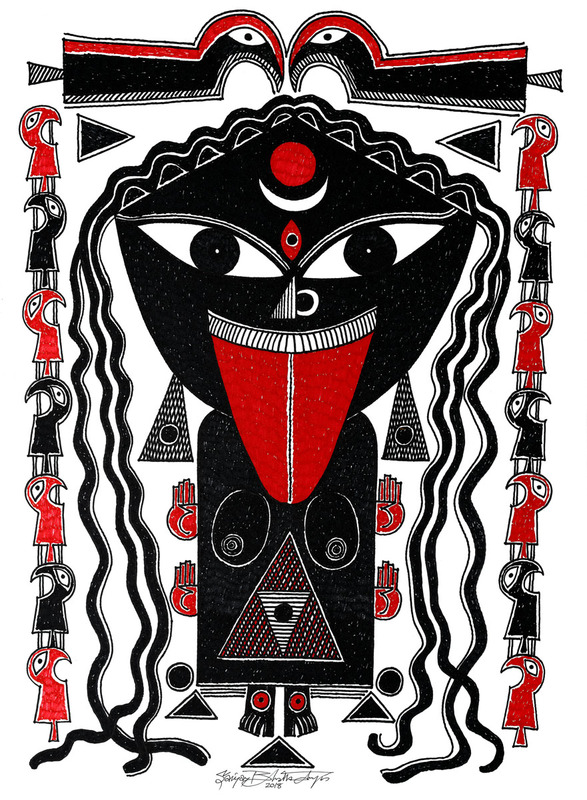 Bhattacharya creates a stunning symbolism through shades of vermillion, black and grey in these works. 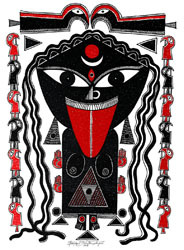 Goddess Kali is said to be the manifestation of divine rage and the embodiment of destruction as she was born from Shiva. 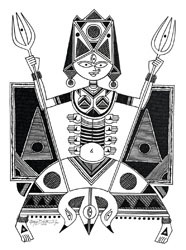 Durga is also known as a powerful, warrior goddess, whose mythology also involves combating evil forces that threaten peace. Both figures are important deities in Kolkata, West Bengal where Bhattacharya is from. 30 x 22 in. each.